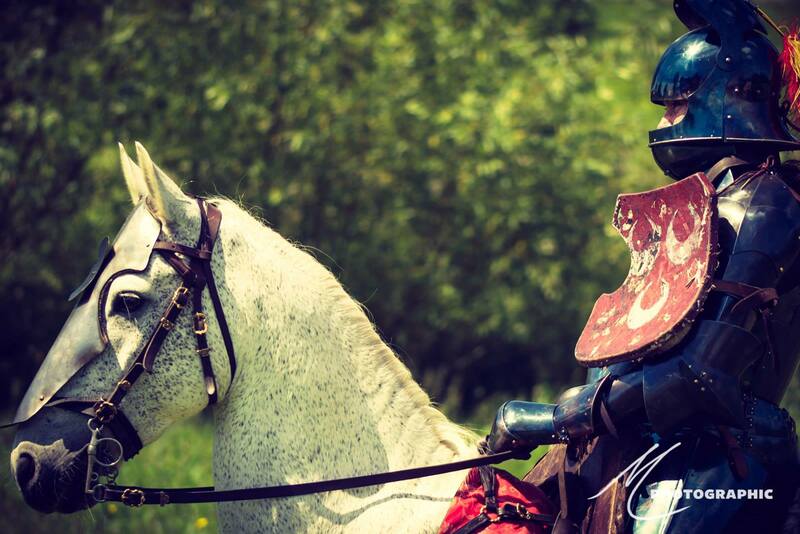 From the courtly spectacle of the Grand Medieval 15th Century jousts to the brutal swirling melee of the 13th Century, Historic Equitation specialises in bringing authentic jousts back to life for the modern audience. Alongside the pageantry of the historical event, we explain and demonstrate the horsemanship of a medieval knight, in a time when the prowess of the jouster had a direct correlation to his masculinity and standing in society. On show are the required skills to do this: expert horse and lance control, concentration, courage and the ability to survive! Having extensive experience of staging 15th Century jousts across the UK and Europe and riders partaking in Jousts in Australia and America. Displays can be arranged for small private functions or large national public events where Knights will be encased in real armour, and ride against each other down the list carried by powerful horses, to the thundering of hooves and splintering of wooden lances at the roar of the crowd! Brand new in 2017 was the introduction of the 13th Century joust, an authentic recreation of which has not been contested on these shores for over 700 years. Drawing on Arthurian mythology, knights charge each other with lances before drawing steel swords to whirl and attack in an epic display of horsemanship, flair and courage. 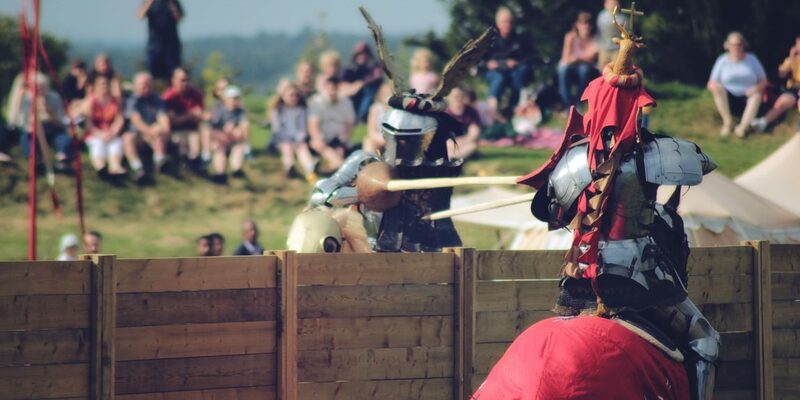 Historic Equitation are able to provide all aspects required to host a modern-day Tourney or joust, from horses and riders, to their costumes, armour, weapons and tilt rail, making the event a truly bespoke package. To ensure we are able to provide you with the highest quality event, we will conduct a site visit ahead of a new event to establish the size of performance that we will be able to undertake in the space provided. We are also able to provide risk assessments for public events and are fully insured, to give you piece of mind. If you would like to host a joust, please do get in contact with us and we will be able to provide you with a full consultation and customised quote.